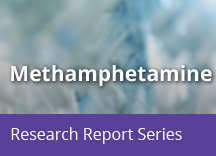 Home » Publications » Research Reports » Methamphetamine » What treatments are effective for people who abuse methamphetamine? The most effective treatments for methamphetamine addiction at this point are behavioral therapies, such as cognitive-behavioral and contingency-management interventions. 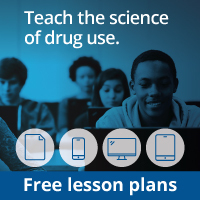 For example, the Matrix Model, a 16-week comprehensive behavioral treatment approach that combines behavioral therapy, family education, individual counseling, 12-Step support, drug testing, and encouragement for non-drug-related activities, has been shown to be effective in reducing methamphetamine abuse. Contingency management interventions, which provide tangible incentives in exchange for engaging in treatment and maintaining abstinence, have also been shown to be effective. Motivational Incentives for Enhancing Drug Abuse Recovery (MIEDAR), an incentivebased method for promoting cocaine and methamphetamine abstinence, has demonstrated efficacy in methamphetamine abusers through NIDA’s National Drug Abuse Clinical Trials Network. Although medications have proven effective in treating some substance use disorders, there are currently no medications that counteract the specific effects of methamphetamine or that prolong abstinence from and reduce the abuse of methamphetamine by an individual addicted to the drug. NIDA has made research in the development of medications to treat addiction to stimulants and other drugs a priority, however. One approach being tried is to target the activity of glial cells. A drug called AV411 (ibudilast) that suppresses the neuroinflammatory actions of glial cells has been shown to inhibit methamphetamine selfadministration in rats and is now being fast-tracked in clinical trials to establish its safety and effectiveness in humans with methamphetamine addiction. Also under study are approaches that use the body’s immune system to neutralize the drug in the bloodstream before it reaches the brain. These approaches include injecting a user with antimethamphetamine antibodies or with vaccines that would stimulate the body to produce its own such antibodies. Researchers have begun a clinical study to establish the safety of an antimethamphetamine monoclonal antibody known as mAb7F9 in human methamphetamine users.